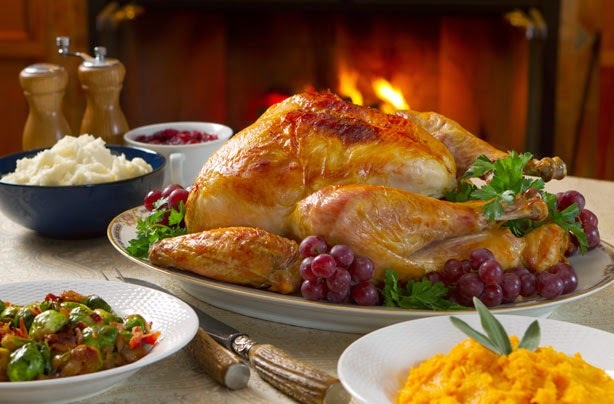 Christmas is coming, and for some of you that means a big turkey dinner, to be followed in the days after with turkey sandwiches and perhaps turkey curry too! Because I like turkey, and because I keep seeing them in supermarkets lately, I started to pay attention to what types of turkey are on offer where. And here's my little summary! 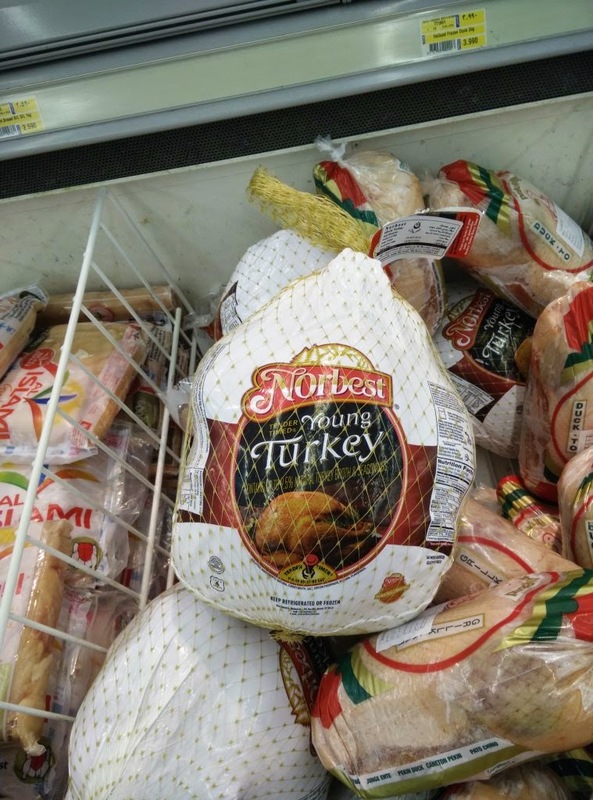 Carrefour and Lulu's are selling the same turkey, Norbest. This is probably the best-known frozen brand available here this year (I wonder why TSC stopped bringing the butterballs) and Carrefour are selling them for RO 1.940/kg and Lulu's are selling the same ones for slightly less at RO 1.930/kg. 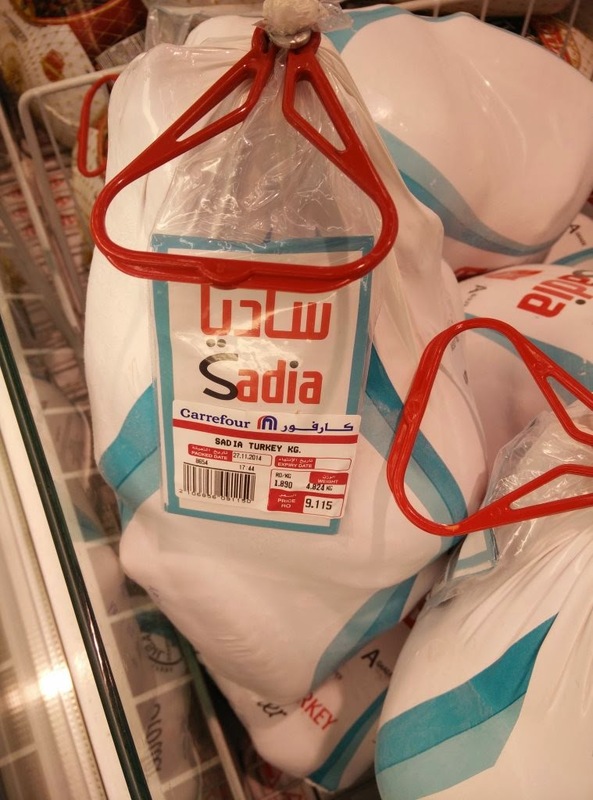 Carrefour are also selling the smaller Sadia turkeys which are 1.890/kg and I actually bought one of these a few weeks ago to try it out - it provided more than enough turkey for a family of 4 adults and 2 kids, with plenty of left-overs too. They're smaller turkey's than the rest of the offerings here in Muscat this year, but if it's just 2 of you.... might be worth a look. I'd say the meat was not quite as succulent as a Norbest which we roasted for Thanksgiving back in October. 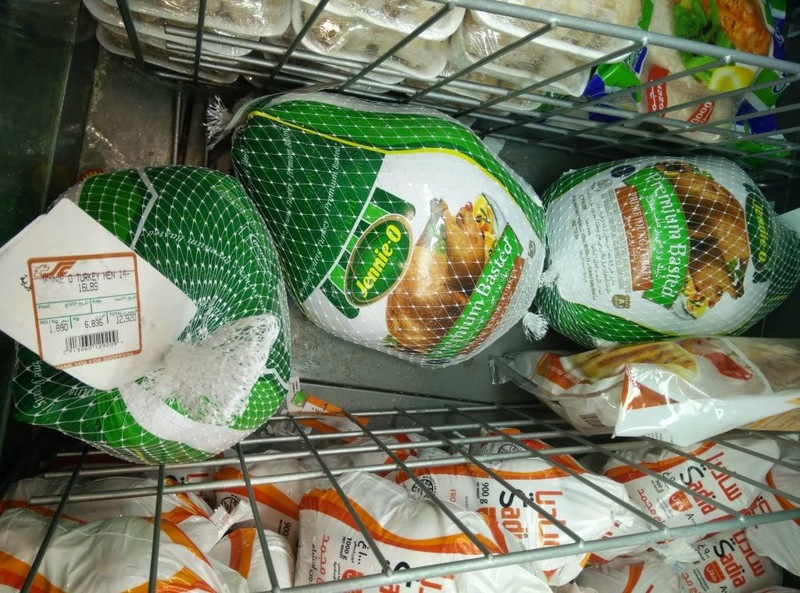 The Sultan Centre are selling Jenni-O turkeys for RO 1.890/kg as well, and these are larger turkeys, so probably your cheapest big-bird option (but I'll probably still go for the Norbest one for Christmas). Al Fair are also selling the Jenni-O turkeys, but for RO 2.095/kg. Took me half an hour to buy a turkey in Carrefour Seeb last week as the checkout girl couldn't get the barcode to work. In the end it took One Omani checkout girl, two Indian baggers and two Indian managers to price it. Carrefour Seeb are a joke! Or you can pay 100 Rials to the hormuz Grand for a bird of unspecified weight!! Sounds like Mohammed Ali is trying to find new ways to pay off the hotel's mounting debts. Sythe, you've really got to sort your apostrophes out. Seriously. Adnan - I'm terrible at English!!! I'll try harder!!! Sinks like stone, just like the economy. His name is Mohammed Ali. Mohammed Ali's hearing is on Thursday. An Xmas present to all Omanis would be to see him do the time he deserves. Wont happen though, wasta is thicker than sense.